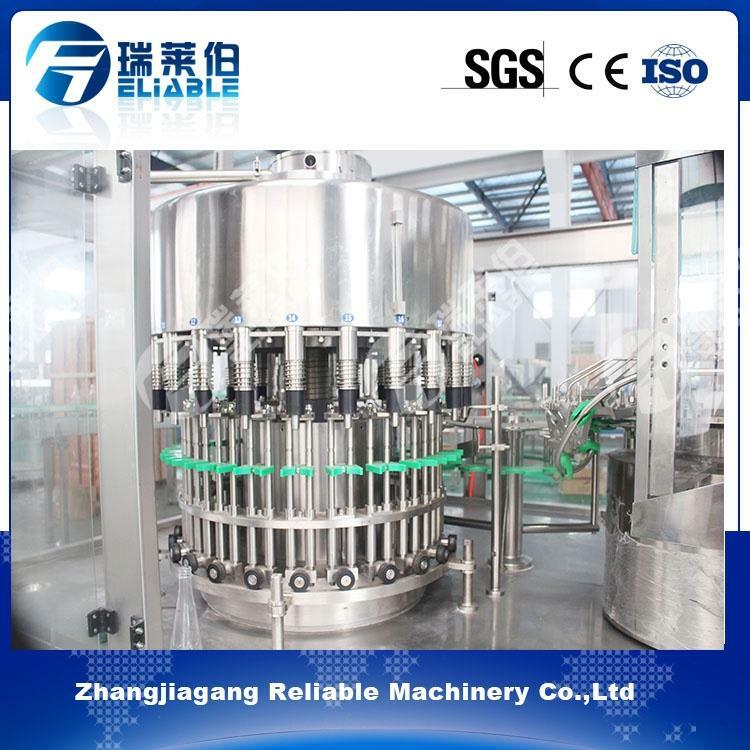 Mineral Water Bottle Filling Machine can finish all the process such as washing bottle, filling and sealing, it can reduce the materials and Outsiders touch time, improve the sanitary conditions, production capacity and economic efficiency. The special backflow type of the filling valve can avoid leakage after filling and also control liquid level accurately. All the machine part which contact with liquid is high quality stainless steel 304. The relative fittings are from international famous brand. This machine owns the reasonable, stable and safe design. Under the condition that the bottle neck size is the same, only the output star wheel needs to be changed if bottles are different. It improves the efficiency a lot. Fostered with a team of dexterous professionals, we have been able to offer Mineral Water Bottle Filling Machine for our valuable clients. Quality assurance program starts from the design stage by ensuring that only quality materials are used. If you are not satisfied, please contact us to solve problem, wish you have a good shopping experience here.